Q: What’s difference between the KESS V2 5.017 Master Version and Kess 4.036? Q: What is the difference between V5.017 Kess V2 with 2 versions item no. SE137 and item no.SE137-B? A: The item no. SE137 kess v5.017 includes reset button, while item no. SE137 kess v5.017 doesn’t have it. Q: Does 2017 Kess V2 V5.017 include USB Dongle? Q: How to update V5.017 KESS V2 V2.23 ? 1. About software update: Free Send by Link always. 2. About firmware update: Need change Chips, need pay in future. Q: How to install V5.017 KESS V2 V2.23 Ksuite Newest Software ? Note: Before installation, remember to disconnect all Internet work! Open KSuite 2.23 (E:) and run “ksuite_222_v2″ exe. To complete the setup, click “Next”, “Next” then “Install”. It will pop up a Microsoft Visual C++ 2005 License Terms, click “Yes” to continue. Select language as “U.S English”. Click “Next” until “Finish” to complete Ksuite 2.22 setup wizard. Back to KSuite 2.23 (E:) and open “Ksuite 2.23″ folder. Right click the “K-Suite” shortcut on desktop to choose “K-Suite Properties”. Delete all files in “KSuite” folder. Then copy all files in “Ksuite 2.23″ folder to “KSuite” folder. Now it will pop up a Found New Hardware Wizard. After that the USB Device is exist. Open K-Suite shortcut and now it’s Ksuite 2.23 software! Click “Info” button and check the firmware version is 5.017. 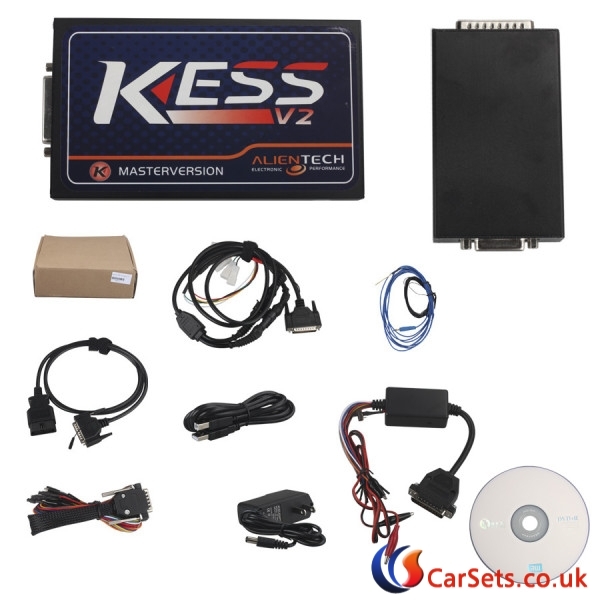 Now installation is complete, you can use this new KESS V2 FW 5.017 Ksuite 2.23 for ECU chip tuning! Toyota 76FXXX, PSA 17.4.4, Ford E83, VW 17.5.5 (1766), Mercedes-Benz 276ECU,Toyota 76F, and so on. Latest Kess V2 Ksuite v2.25 K-suite v2.28 software has been tested ok to work without issues on Kess v2 master clone, tested by our engineers. Here is instruction on how to install K-suite 2.25 and 2.28 version on Windows xp system. BMW e90 reading ecu completed. Save data. 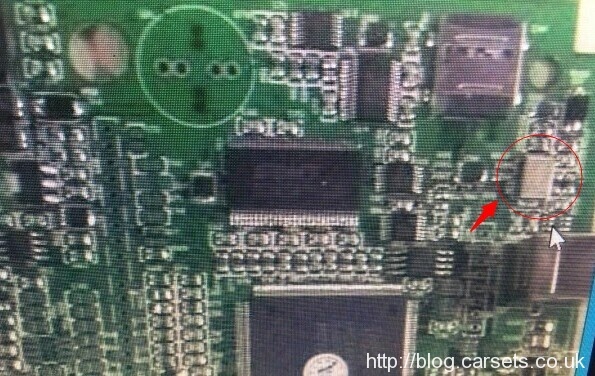 Kess v2 v2.28 read bmw e90 ecu id successfully! UPS USB Programmer supports ECU programming, flash memory, bulk erase data memory, and so on. Here the engineer share with our UPS USB Prog customers install steps to setup UPA USB programmer full version v1.3.0.14 on Win7 32bit system. MPPS 18 version adds boot mode support for controllers with the tricore processor and adds support for advanced functions on Marelli ECU’s. M3.8, M5.9, ME7xx, MED9, MED17, EDC15/16/17, Delphi, Siemens, Marelli, Delco, Sagem, Trionic, etc. 1 Mpps v18 software only supports windows7 32bit. 2 Be sure the driver installation completes, then open the mpps software to use. Otherwise, mpps can not be used. Q:What is the meaning of ”TRICORE + MULTIBOOT” for MPPS v18? A:That means a way to dissemble the ecu, weld the boot chip point, and use ecu adapter definition to read ECU data. MPPS V18 supports Tricore, MultiBoot, OBD. Q: What is the meaning of ”breakout” among MPPS v18 Breakout Tricore Cable ? A:It is the connector adapter. Q: Can Mpps v18 support C167 and ST10? A: Yes, Boot mode support for ECU’s with C167 and ST10 processors. Q: MPPS V18 can auto detect K-Line? A: Yes, it support auto detection of K-Line/CAN. Q: What about MEDC17 TPROT level checking through mpps? Q: Any option to bypass? A: MPPS V18 has option to bypass and force preferred means of communication; temporary bypass of immobiliser on ME7 system. Q: V18 for eeprom r/w? A: Yes, EEprom read/write functions for some ECU. Q: Can Mpps v18 support immo off without welding the boot chip? A: MPPS v18 doesn’t support immo off. And Mpps v18 conenct to the vehicle with obd2 port, no need welding. Q: Can Mpps v18 read PSG16? Q:Can MPPS v18 be connected with internet? I have tested on 6F3. 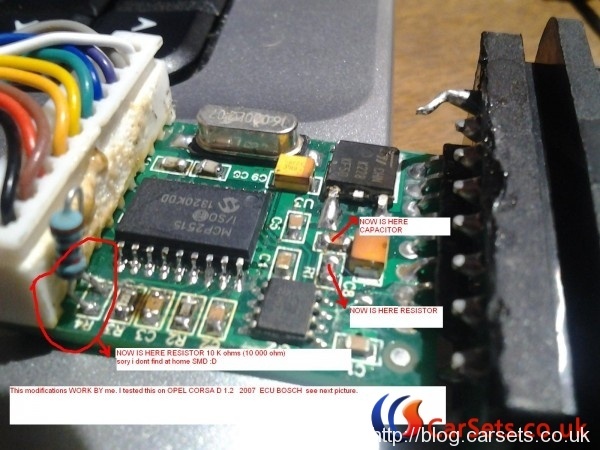 Read/Write all Micro, flash and eeprom via OBD. Very fast and stable tool. If can not extract password it is useless. have just manage to read via obd with multiboot function a Bosch ME7.9.10 from Fiat Punto T-JET 1.4 turbo … This tool is the only one that can read from obd this ecu …..
EDC17C64 TC1797 can be read with MPPS, BUT!!! you need password before. This module adds support for advanced functions on Marelli ECU’s. MPPS covers a range of controllers including M3.8, M5.9, ME7xx, MED9, MED17, EDC15/16/17, Delphi, Siemens, Marelli, Delco, Sagem, Trionic and many others. This module adds boot mode support for controllers with the tricore processor. Auto detects ECU and processor type. No need to select from list, everything is automatic! TPROT / DS check feature, for testing if TPROT is active without opening ECU. Support for unlocking of VAG Simos PCR and Simos 8. Checksum Correction supported for Bosch MEDC17. The MPPS ECU chip tuning cable is a powerful programming tool. In some cases MPPS can recover ECU’s which others tools can not even make communications with. On certain controllers it even works when with no program is present (a blank memory). Selectable full / partial reading and writing when the ECU allows this function. Selectable reading / writing speed. Writing “changes only” function for faster programming (when supported by the ECU). Auto detection of K-Line/CAN, and option to bypass and force preferred means of communication. Temporary bypass of immobiliser to allow flashing on the bench on ME7 systems. Boot mode support for ECU’s with C167 and ST10 processors. EEprom read/write functions for some ECU’s are included. VAG MEDC17 TPROT level checking without opening the ECU. 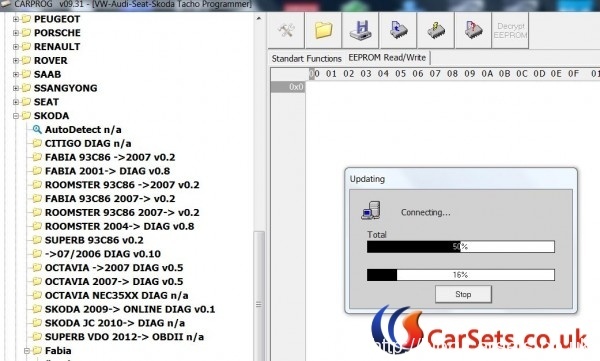 One technician share testing guide on reading eeprom for Audi a4 2001, in order to copy the immo information from a cluster to another, and make the mileage follow with the immo information. If clone all eeprom content than the mileage is transferred too. What tools can be used to work with Digiprog3 ? What to do on pin 21 and 22 on the chip? 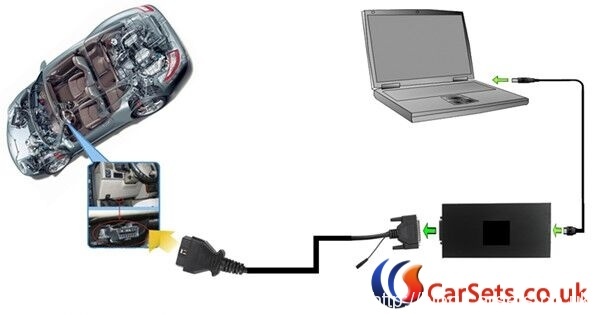 Buy yourself Xprog-M programmer, Carprog full, UPA USB. Pin 21 and 22 jumper after programming or wait 10 minutes. The diagnostic port is in the driver’s footwell. Turn the ignition on a vehicle. Connect plug ST16 the diagnostic port and the DIGIPROG. Select the program: cars / trucks – AUDI – MM 4 / 99- DIAG. The DIGI PROG II shows you the old / incorrect Mileage. Enter the new / correct Mileage and confirm this. Now select the program: cars / trucks – AUDI – MM 4/99 HC12. The DIGI PROG shows you the old / incorrect Mileage. Enter the new / correct Mileage and confirm this with the hook. Now shows you the DigiProg II 5 min wait. Remove the connection between the DigiProg and the speedometer, wait 5 minutes and build the speedometer again. Alternatively, for 5 min. Wait, you can also like in the image on the next page shows the pins 21 and 22 bridges. 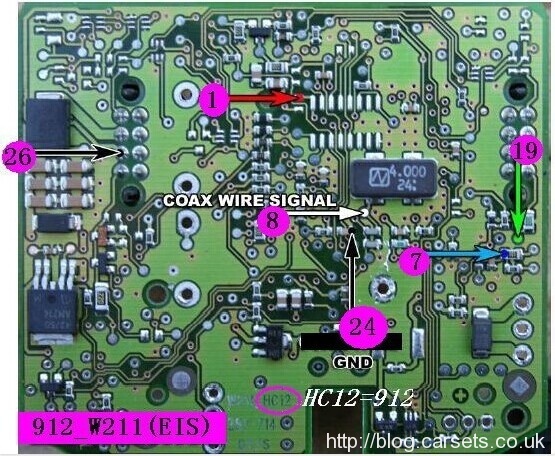 Here necessarily the board from any power supply (Digiprog3 v4.94, external power supply, etc. ), Pin 21 + 22 bridge, and then you can use the tachometer. How to fix KESS V2 master firmware v4.036 communication /connection issues ? I took this UL46 USB protection chip off my old Ktag board. Then Kess v2 v4.036 is detected on usb Everything is ok so far. Here’s Cartool.co.uk technician shares one customer feedback on using Xprog-m v5.0 to read dump successfully from W203 EIS module, flash and eeprom OK. Finally I can read dumps by Xprog. Confirmed, flash and eeprom OK.
if you can’t connect with SD and dash says ‘—-‘, then is your EZS dead. It could happened when you tried to connect it with xprog, or it went just broken itself. Could be question of flash it and “eeprom it”, but it can be also the MCU is dead. then you’ll need or MCU exchange or use another EZS. Put in EZS eeprom correct VIN, because otherwise you will have problem with airbag and ecu’s sync (this EZS nr. can be from diesel or petrol car), put there the same km’s like in dash board, otherwise the ‘—-‘ may not disappear, then you’ll need to calc and prog the keys. After this you’ll need to virginize engine ECU and ESL. Install everything back, and make it work with SD. K-Touch ECU Map device allows ECU reading / programming in modern vehicles via OBD2. New Genius K-Touch MAP OBD2 Master with Free Winols 2.24&ECM Titanium 1.61 is update version of Kess v2, more new vehicles supported. Checksum recalculated with Genuine Race Evo software for all of my tunes. 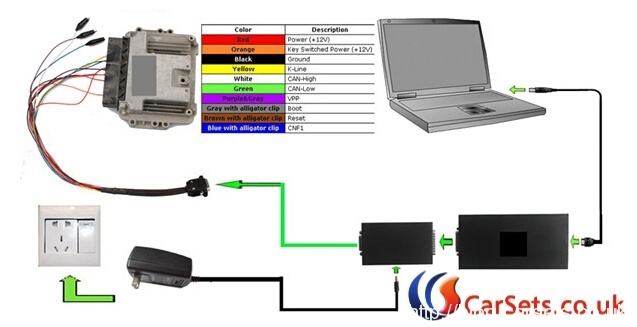 Here you can freely check more about new genius ktouch flash ecu chiptuning tool support list. Cartool.co.uk New Released XPROG-M V5.60 Xprog Box ECU Programmer 2016 Newest Version adds more ecu chip authorizations. AUTH-0007 ST M35080 authorization. Read/Write/Erase device to delivery state. AUTH-0021 ARM (Micronas, …) Family bypass security authorization (allows to read/write secured and non-secured internal flash and external serial EEPROM, view/change mileage,chassis number (VIN), serial number and PIN code). 2. Close all of the computer anti-software. If not, X-prog software may be killed. 3. Disconnect the internet. If not, the internet may damage the hardware. 5. Never try to UPDATE, the hardware will be damaged if you want to try to upgrade it online, without any warranty. What’s the difference between Xprog V5.60 and Xprog-m V5.55? 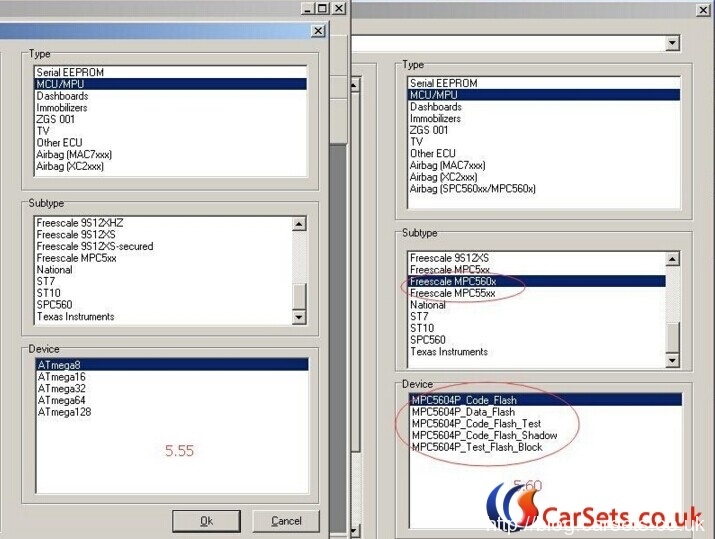 Latest Firmware V8.21 CARPROG with All 21 Adapters contains much more authorization than V4.74 or other low version Carprog. 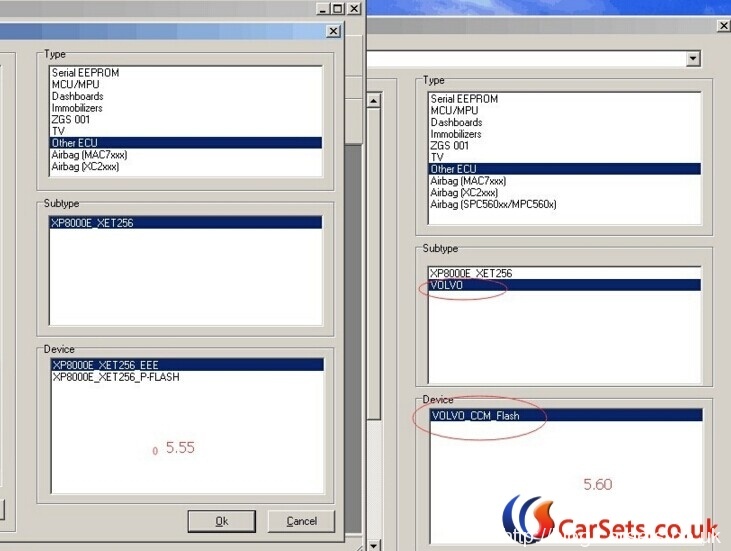 The perfect Carprog fm v2.21 online version includes the latest software version V8.21 and V9.31, and the Software V8.21 can be used online but need to active, the Software V9.31 can be used without activation. 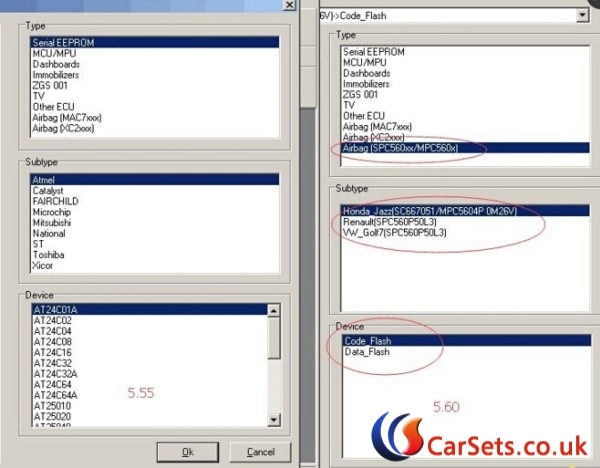 Now let’s check step by step how to install and activate Carprog V8.21 perfect online version on Win 7. 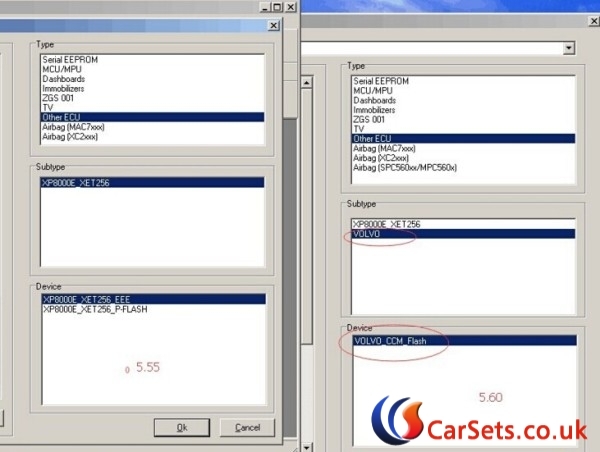 How to install Carprog full 8.21 online version? If you need to update your carprog full v4,v5,v6.8 or v7.28 to V8.21 online version,you can buy the V8.21 carprog main unit without buying the full 21 adapters. Truck Version KESS V2 V4.036 is the new update of KESSV2 Truck V4.024, newly added more trucks models than any version. Compared with other version, firmware V4.036 is more stable. Newest KESS V2 master firmware V4.036 SW V2.22 has been tested ok to read write ECU data on with most worldwide truck makes and models. This is an extremely amazing news for KESS V2 regular users who mainly have multi-brand trucks to diagnose, also some cars and motorcycle to scan. 3) Truck version V4.036 only sales for US$129 and car version V4.036 (Item No. SE87-D) is US$182. You may get the error message reading “connection not established” after successfully finishing the driver, click ok and exit the user interface. Open E:\Ksuite V2.08\Ksuite and meanwhile right click the icon “K-suite” at the desktop, select “Properties”, then click “Find Target”, select all files and right click to delete these files to the recycle bin. Go to “E:\Ksuite V2.08\Ksuite”, select all files and right click to copy, and go to C:\Ksuite to paste all. Open E:\ and copy the folder “Help” to paste to C:\Ksuite, close C:\Ksuite. Connect Kess v2 V4.036 hardware to the computer, and get message “Found New Hardware Wizard” and click next to finish. Click My Computer-Manage-Device Manager- Universal Serial Bus controlers, you will find USB device. It means KESS V2 V4.036 has been established a good communication with the computer. 1) To check what truck makes KESS V2 V4.036 covers. Get prompt about what to notice. Select options: ID, reading, writing, recovery. Click “Ok” to confirm you have done as the prompt. Then click “Ok” to save at the desktop, name as “e90”. You will get waring, notices and recommendation and instruction. As for the pinout most users tend to ask, click “Here” shown as following second pic. 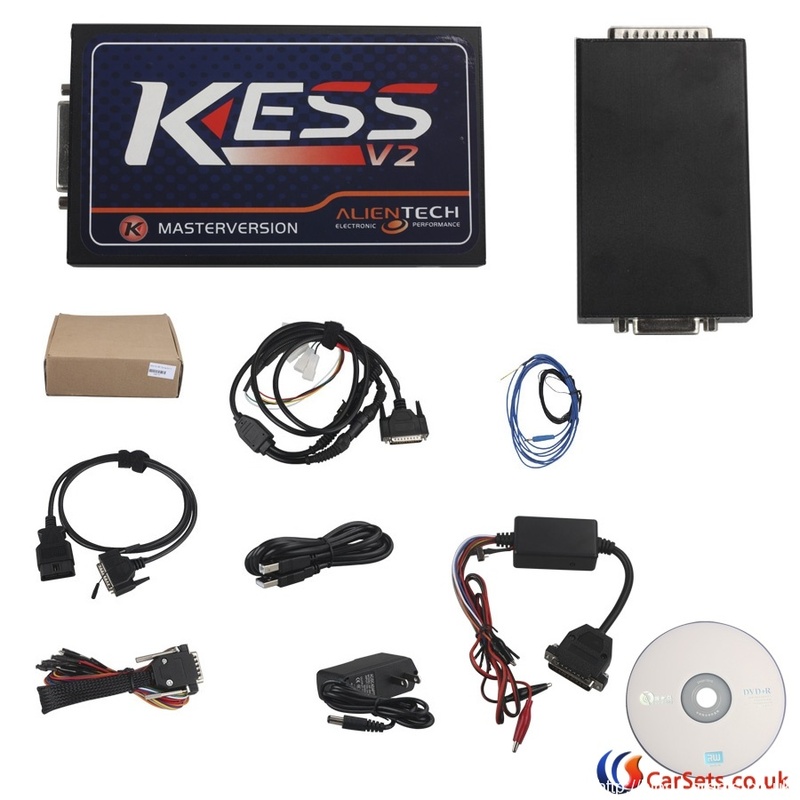 KESS V2 V4.036 read write ECU data on a multi-brand Motorcycles shown as follows. take BMW MOTORRAD for example. 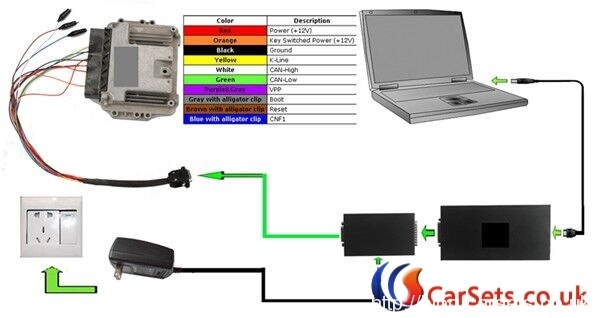 Check more details about how to connect Kess V2 Master Truck Version . 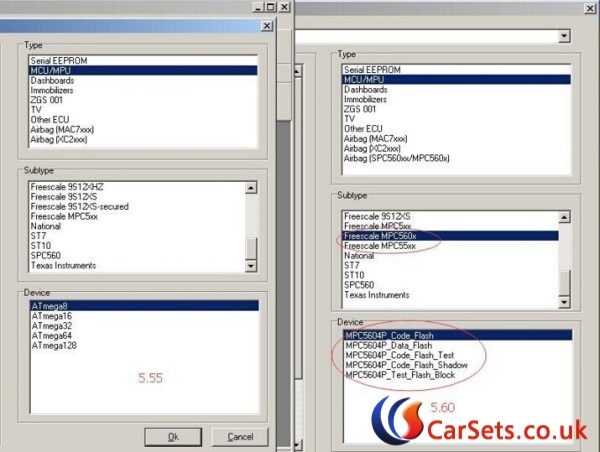 Carprog full version is mainly used to do airbag resetting for your cars. 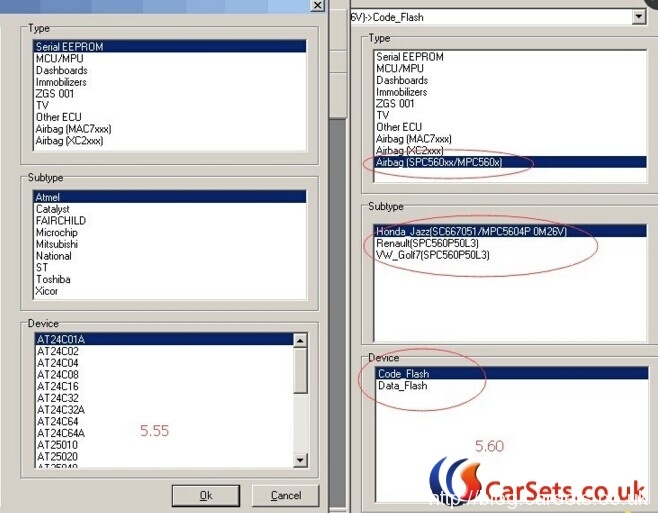 Carprog Full can also do Dashboard programming, immo (read pin code), MPU & EEPROM programming, radio decoding. Carprog newest software V09.31 update success! 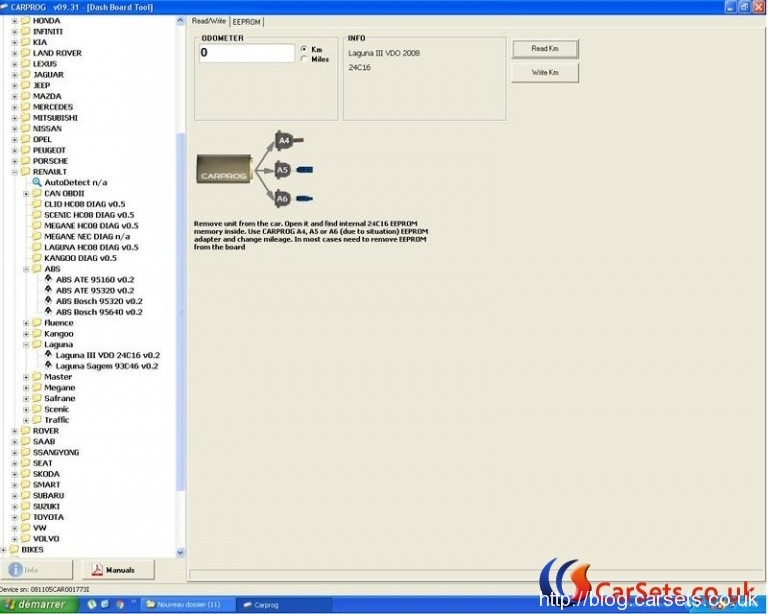 Cartool.co.uk customer shares his solution and feedback on Carprog 7.28 Canbus no working error fixed. 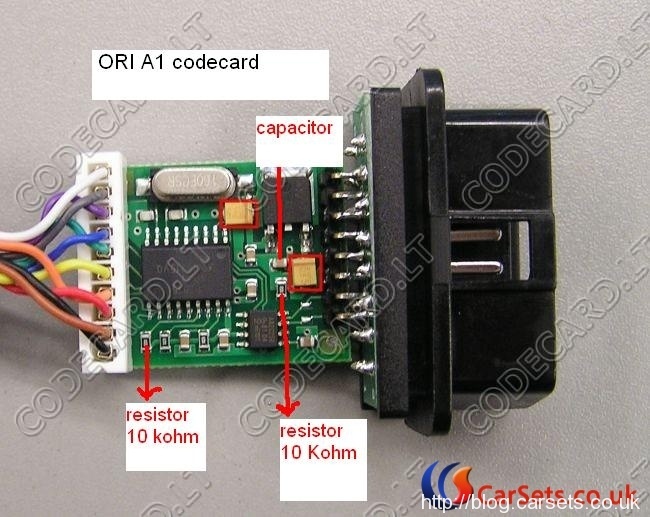 I buy carprog ecu programmer and coming sames problem CANBUS NO WORKING. 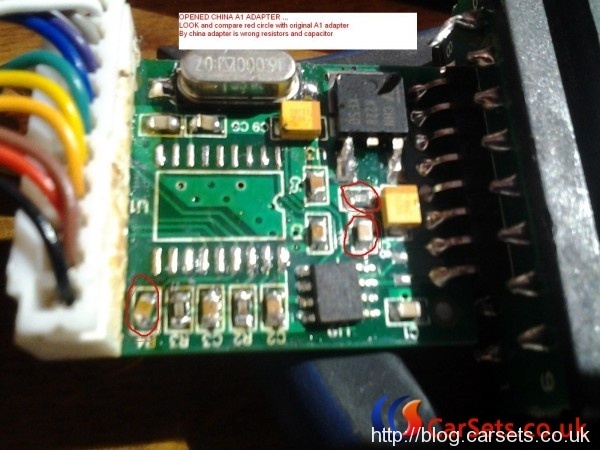 I changing around 3x MCP not working, Connecting +12 volt to stabilizer not working, changing 4x 74HC125 in carprog not working. So i thinking around this tool and i open A1 adapters and compared with original A1 adapter . I FIND WHERE IS PROBLEM !!!! 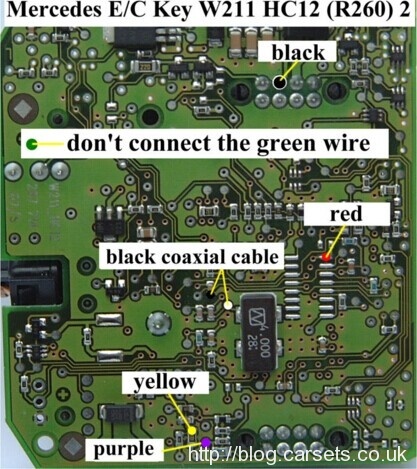 In china peoples changing positions CAPACITORS AND RESISTORS !!!!. I forget on important information IN A1 ADAPTER IS NOW SOLDERED NEW MCP old MCP. i dont soldered back. i dont tested ODL MCP if work wit this or not. So far, it is WORKING GOOD. I forget on PRT SCR from my carprog connected to opel can. 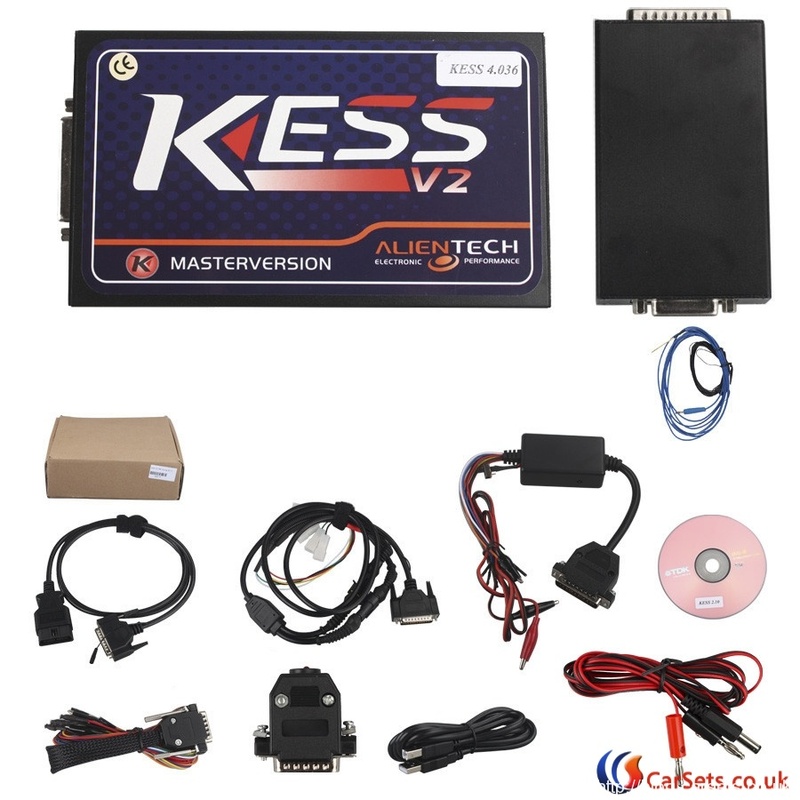 Cartool.co.uk has released the lastest update K-suite V2.22 software works with Alientech KESS V2 firmware V4.036 ECU tuning kit K-suite master. 2- Please do not update KES V2 online. 3- Kess v2 can not do truck, only do car and some motorcycle. 4- If some ECU list options are grey, it is normal. KESS V2 will keep update new models. KESS V2 supports tractor till L15, cannot do newer L21, L22, L23 etc. K-touch, Kess V2 Series and Ktag Series, Which one is better ? If you need we can send you the winxp/win7(SS122/-B) system dvd shared by our tech. 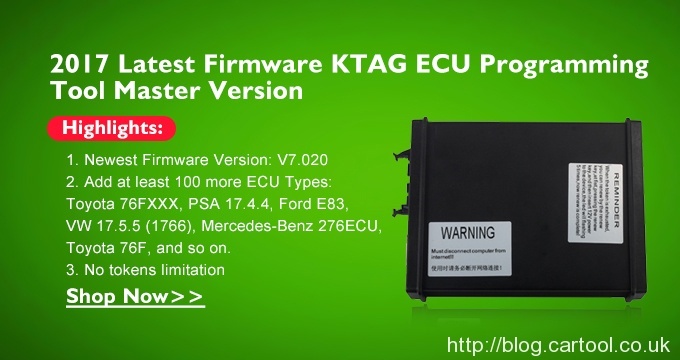 main unit Software of Kess V2 and Ktag both can be updated by CD. To update Kess V2 Hardware, you need to send back the main device and pay 95USD. To update Ktag Hardware, you need to send back the main device and pay 370USD. Q1: Why i need to buy Kess v2 and Ktag ecu programmer together? A2: 1. 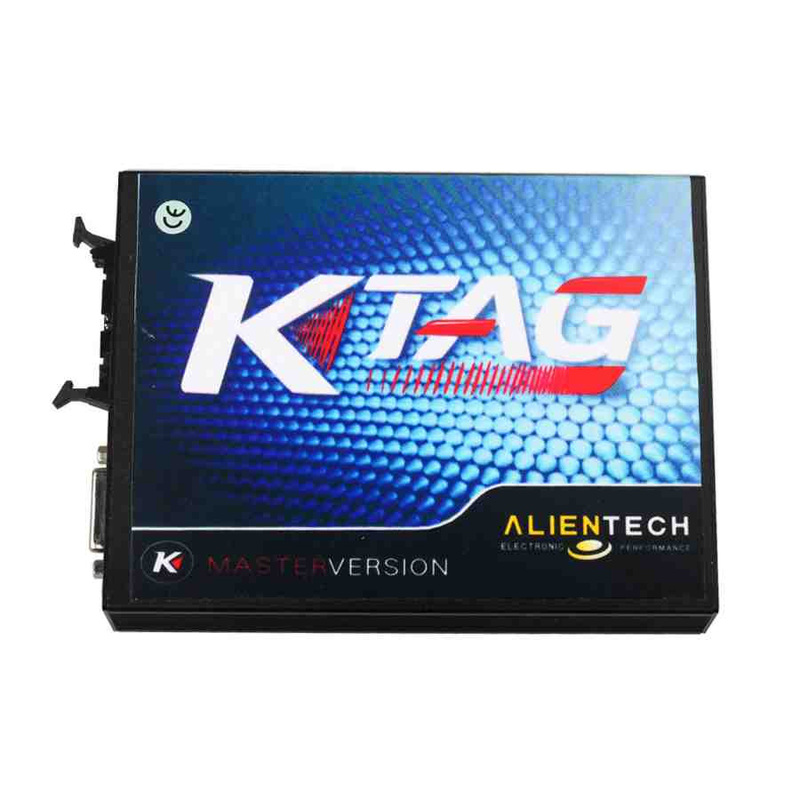 Ktag and Kess V2 share the same software for reading/writing ECU Engine Data, but they bear the different ways to read ECU data. 2. 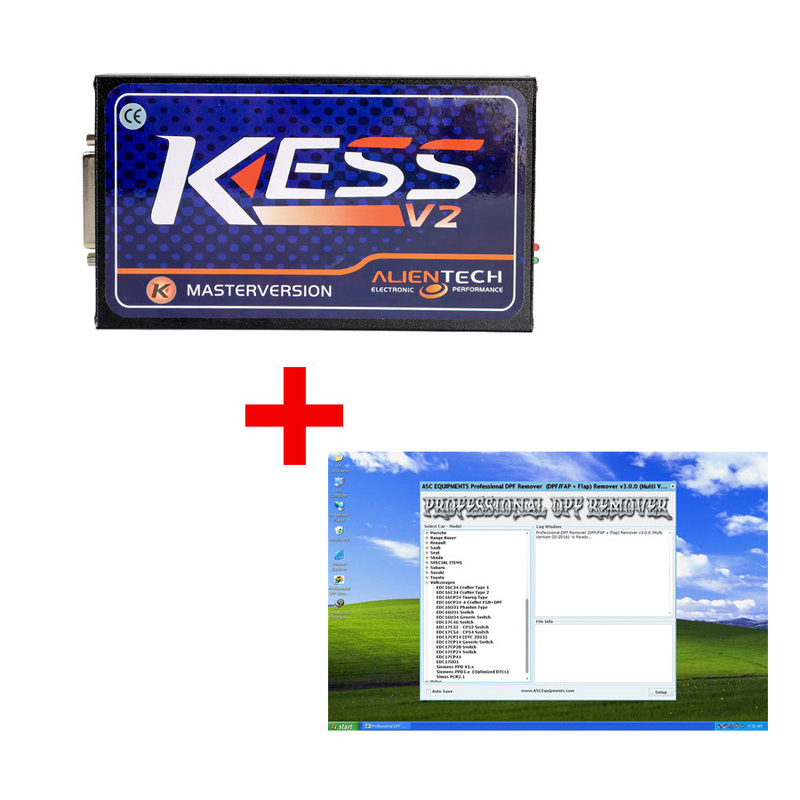 Kess V2 is a ecu programming tool that is perfect for OBD use;While Ktag is perfect for Jtag, BDM and all Boot application (tricore and ST10). 3. 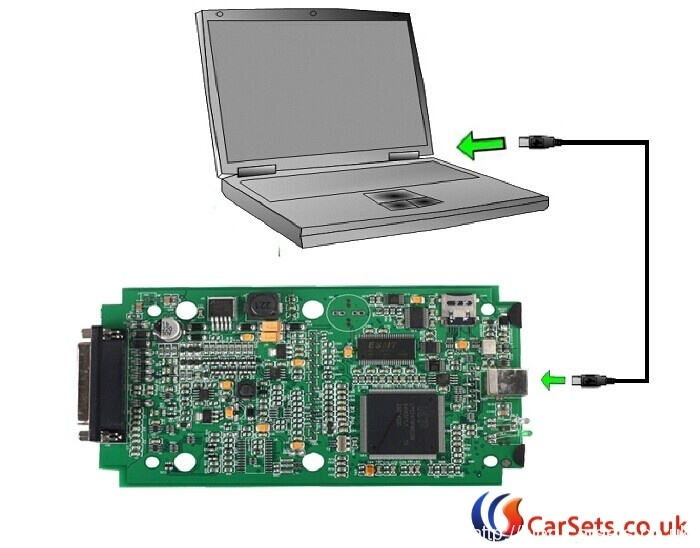 With Kess V2, you program directly through the OBD port of the vehicle;While with Ktag, you need to take aprt the ECU and open it, after you can make the read/write operation. 4. 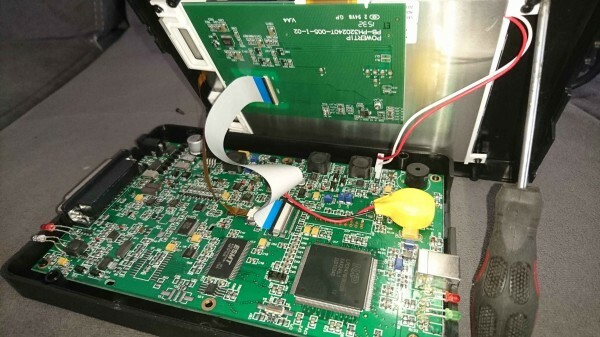 Many ECU had the advantage that can be read and write from OBD port (so KESS V2 is perfect),but there are lots of ECU that need to disassemble from the car and open, and this is the case for all the ecu that need to be programmed with Jtag, BDM and Boot protocols, so Ktag is needed. 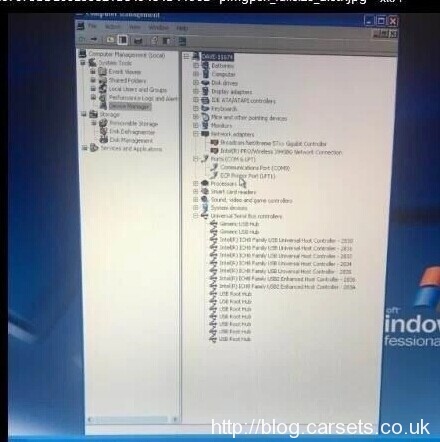 Cartool.co.uk newly released Newest Ksuite V2.22 Software for Kess V2 is available Online Now. 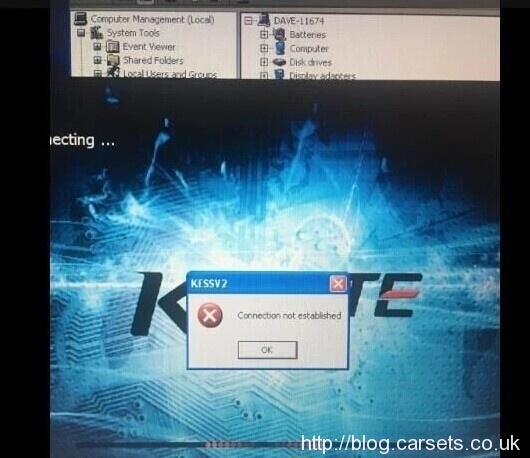 Here is the free download link http://www.chinaautodiag.com/download/ksuite-v2.22.zip . For Kess v2 series we provide online now, only the se87-c and se87-d (with higher hardware version) we offer the latest kess v2 v.2.22 software inside the package. While we dont recommend you use the newest ksuite v2.22 software on se87, se87-b, se87-e, se87-k. Since these kess v2 include the lower hardware version, and if work with a higher software version, it may not bear as many functions as it used to. So before you choose the new released kess v2 v2.22 software, please kindly pay attention and you’d better choose a good kess v2 device to work with it.